SKU: 317. Category: Pet Apparel & Accessories - National Pet Month 15% Off. 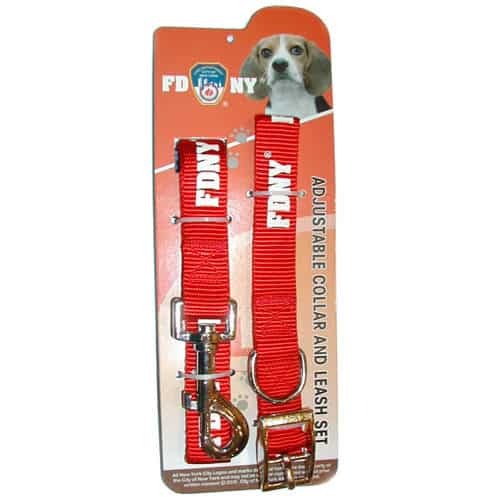 Your dog will look great in our FDNY dog leash and collar. Dog Collar is adjustable with buckle closure. 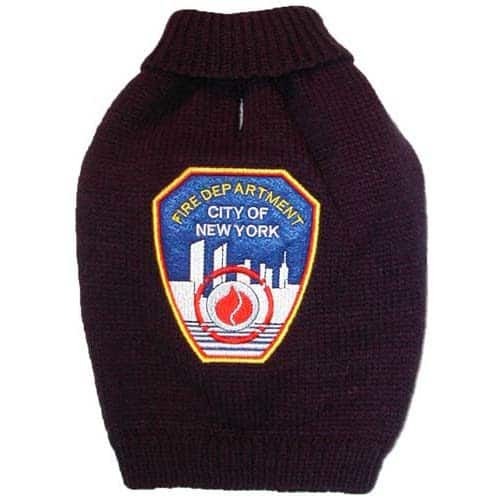 Leash is red with FDNY cones with clip link to attach to our collar. The leash is approximately 4.5 feet in length.